Bulking up with a smile. 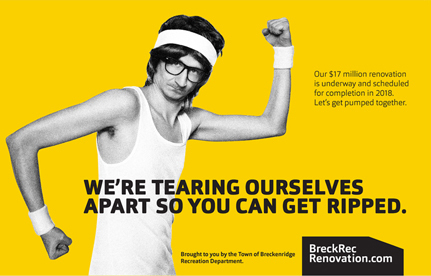 We just finished a scrappy campaign for the Town of Breckenridge Recreation Department to educate citizens and members about their hefty $17 million renovation underway. 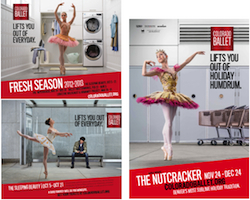 A happy collection of posters, postcards, local newspaper ads and radio. We love working up a sweat for a good cause. They had us at the first whistle. 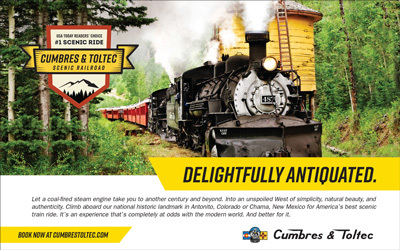 Cumbres & Toltec Scenic Railroad was recently voted the #1 scenic railroad in the United States by USA Today readers.This national historic landmark offers day trips that zig zag between the Colorado and New Mexico border for 64 miles. 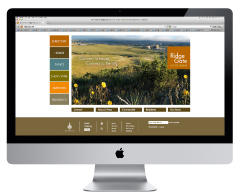 We launched a multi-media campaign this winter that is broadening the reach and the appeal to travelers 50+. We’ve given new energy to the brand while staying true to its authentic Western heritage. 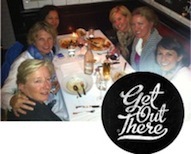 In spring 2012, the ladies of Launch headed up to the Aspen Short Film Festival to recharge our creative engines and celebrate our first decade in business (hard to believe we opened our doors back in 2002!) Special thanks to Christina Schroeder, chief rouser at rabble+rouser for joining the party, which included low-carb healthy breakfasts followed by buckets of wine! 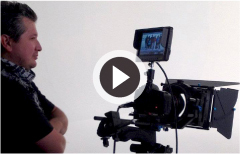 Launch teamed with Director Jesus Fuentes of ideasQueFuncionan to produce a Spanish version of LiveWell Colorado’s awakening TV spot this spring. The :60 spot features a multi-generational Hispanic family and educates viewers that obesity is not as extreme as we might think – inspiring members of Colorado’s Hispanic community to find out their own weight status. Winning recognition for LiveWell Colorado. Our work for LiveWell Colorado is the first social marketing campaign in the nation that seeks to visually correct the perception of obesity, and in doing so, create a personal connection to the issue. 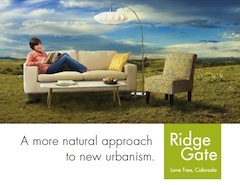 The campaign has been noticed locally and nationally for its strategic and creative thinking. Awards include a platinum MarComm, gold Davey, silver Telly, People’s Choice at the Denver 50 and a finalist recognition in the PR News Nonprofit PR Awards. Of course, we think the real juice is that over 500,000 Body Mass Index (BMI) checks have been done on the LiveWell Colorado website. 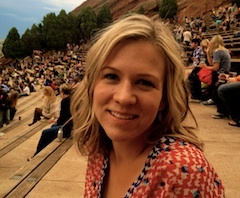 Kudos to our amazing interactive partners at rabble+rouser.